Globe-trotting nomad life since April 2015. The Mornington Peninsula is a favorite with families, young couples and backpacking surfers, due to its variety of beaches, cafes, bars and above all, the vibe. Along the inner curve of the Peninsula, you will find safe, shallow beaches. Great for stand-up paddle boarding and families with small children as well as those who are not strong swimmers or just after a more relaxing beach experience. For the brave and wild at heart, there are the back-beaches. These are more easily accessible from Sorrento and Portsea along the bus route. However, if you are not a strong ocean swimmer, experienced at spotting and negotiating rips (currents) then these back-beaches are for not for you. You're advised to watch from the shore and not to go in past your knees unless you want to get to know the lifeguards on duty a little more intimately. 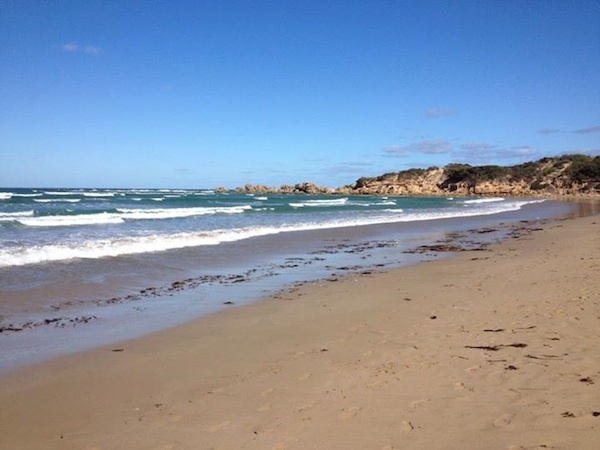 The Mortnington Peninsula is famed for its hot springs, seafood buffets and wineries, however the core of the area is the long, clean beaches. If you're a city sicker looking for a great daytrip in early or late summer, I cannot recommend the beaches of the Mornington Peninsula highly enough. Following are four options for beaches that vary from a 1.5 hours one way to the long but scenic 2 hours and 40 minutes one way. If you're looking to head down jump in the water and sunbake (safely) all day, then I would recommend Mornington or Rye. If you're looking for a stroll along the beach and to take in some local cuisine and culture, then make the trip to Sorrento. Take the train to Frankston from any City Loop Station, this takes just over one hour. At Frankston jump on the 788 bus from the bus depot outside the station. Then simply alight at your selected destination, suggestions below. You can ask the bus driver to let you know when you get to the stop closest to the beach you want to get to. The drivers are super friendly and accustomed to tourists who are unfamiliar with the area. Just be aware that sometimes the drivers change half way through the run, if they do, best to make the same request to the new driver also. 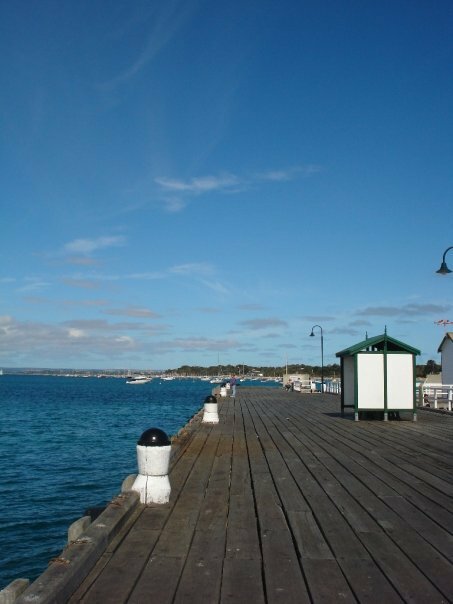 Take the bus to Main Street Mornington, only 30mins from Frankston, then just a ten minute walk through the town to the beach. Mornington is also home to an ever-expanding number of boutique retailers, fine dining restaurants and beachy-kitch bars. It's an elegant beachside town by day and home to the few nightclubs on the Peninsula by night. The beaches are iconic and often used on travel brochures for Melbourne, featuring colourful beach boxes and clean white sand. Beaches to check out: Mothers beach, Mills beach and Shire Hall beach. All beaches are closely the main street and most have parklands alongside them, great for avoiding having your lunch covered in sand and seeking temporary refuge from the sun. Take the bus from Frankston, approx. 1h 20mins. Rye is an uncomplicated town to explore. Jump off the bus at the Rye pier and you'll be in the middle of the main street and right on the beach. To one side you will see a long expanse of sand, clear water and post probably a scattering of tanned holidaymakers. To the other side, a line of restaurants, cafes, pubs, ice-creams shops and fish and chipperies as far as the eye can see. Rye is great for a casual beach day, no airs and graces here, just sun-seekers who don't see the need in wearing more clothing than is legally necessary. Take the bus from Frankston, approx. 1h 35mins. Both the front and back-beaches are a five-minute walk from the bus stop. Sorrento is generally more upmarket than Mornington, however caters for both those who prefer top shelf wines and those who are happier with a longneck (beer) in the park. Sorrento houses some very nice eateries, both in the mainstreet and along the frontbeach, as well as enough cheap food-fuel to keep the local surfers happy. The budget-wary traveller can head to any of the local bakeries or fish and chips shop for a cheap yet delicious lunch. This is a great town for those who want a taste of both the front and back beaches of the Peninsula, with both in walking distance of the bus stop. The Sorrento front beach is a favorite for wedding photos due to its beautiful outlook and large pine trees for shade. The back-beach is a surfer's favorite and hosts many safe rockpools for those less adventurous. Take the bus from Frankston, approx. 1h 40min, which drops you at the front-beach, the back-beach is a ten-minute walk. With a reputation as the classiest of the Peninsula townships, Portsea boasts some of the most expensive houses in Melbourne. This multi-mullion dollar town is small, with only a handful of shops. The majority of the commerce here is membership only, e.g. spas and golf courses. Portsea does however boast a stunning back-beach. The sheer scale of the beach is impressive. With a shore-break that can permanently part your hair, it's not the unacquainted. The back-beach drops off suddenly also and has taken many an unwary tourism out to sea. My advise is to enjoy it's beauty, however respect its power. Generally as you get further down the bus route, the less crowded the beaches get. This is however not true in the peak of season, being summer school holidays, when the whole Mornington Peninsula turns into a car park for city-slickers trying to get to the cool clean water that the region is famous for. You should also expect the bus trips to get longer in this peak time. So be smart, if you have the luxury of skipping peak times then do so! Hit these beaches before the Christmas break or after the kids are back at school in February. My suggestion, head down between October to November, or March to April for maximum enjoyment.